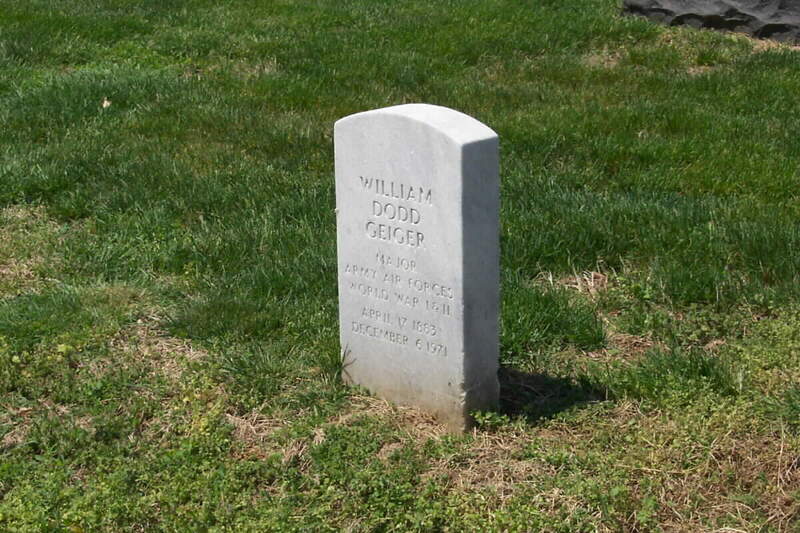 William Dodd Geiger was born on 17 April 1883 and died on 6 December 1971. During World War II he served in the Army Air Forces and was apparently a prisoner of war for some time. 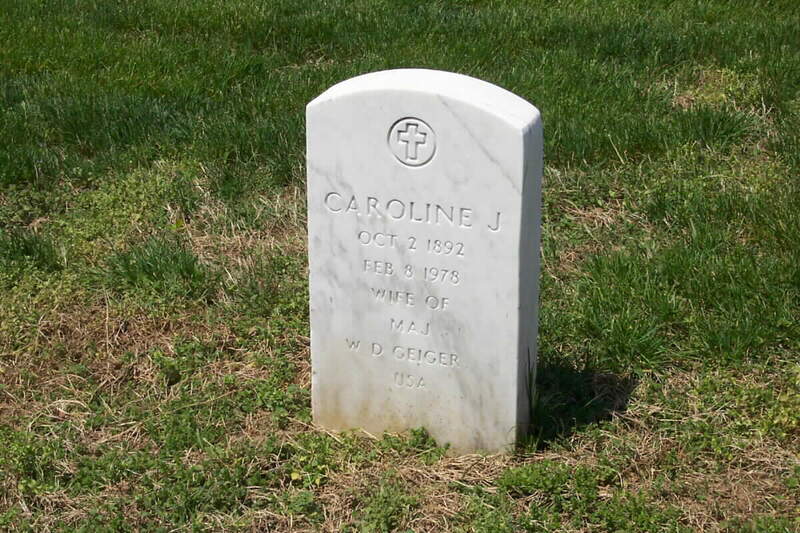 He is buried in Alrington national Cemetery and his wife, Caroline J. Geiger (2 October 1892-8 February 1978) is buried with him. Buried nearby is Harold Geiger, Major, Air Corps, United States Army.